"Région" redirects here. For other uses, see Region (disambiguation). The term région was officially created by the Law of Decentralisation (2 March 1982), which also gave regions their legal status. The first direct elections for regional representatives took place on 16 March 1986. In 2016, the number of regions was reduced from 27 to 18 through mergers. In 2014, the French parliament passed a law reducing the number of metropolitan regions from 22 to 13 effective 1 January 2016. The law gave interim names for most of the new regions by combining the names of the former regions, e.g. the region composed of Aquitaine, Poitou-Charentes and Limousin was temporarily called Aquitaine-Limousin-Poitou-Charentes. 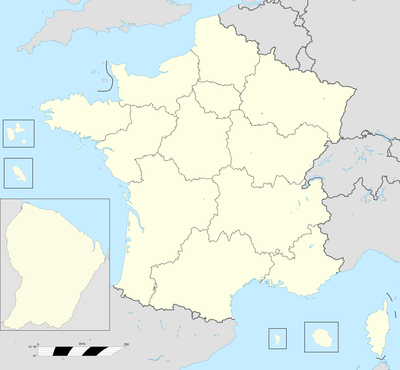 However, the combined region of Upper and Lower Normandy is simply called "Normandy" (Normandie). Permanent names were proposed by the new regional councils by 1 July 2016 and new names confirmed by the Conseil d'État by 30 September 2016. The legislation defining the new regions also allowed the Centre region to officially change its name to "Centre-Val de Loire" with effect from January 2015. Two regions, Auvergne-Rhône-Alpes and Bourgogne-Franche-Comté, opted to retain their interim names. Between 1982 and 2015, there were 22 regions in Metropolitan France. Before 2011, there were four overseas regions (French Guiana, Guadeloupe, Martinique, and Réunion); in 2011 Mayotte became the fifth. Regions lack separate legislative authority and therefore cannot write their own statutory law. They levy their own taxes and, in return, receive a decreasing part of their budget from the central government, which gives them a portion of the taxes it levies. They also have considerable budgets managed by a regional council (conseil régional) made up of representatives voted into office in regional elections. A region's primary responsibility is to build and furnish high schools. In March 2004, the French central government unveiled a controversial plan to transfer regulation of certain categories of non-teaching school staff to the regional authorities. Critics of this plan contended that tax revenue was insufficient to pay for the resulting costs, and that such measures would increase regional inequalities. In addition, regions have considerable discretionary power over infrastructural spending, e.g., education, public transit, universities and research, and assistance to business owners. This has meant that the heads of wealthy regions such as Île-de-France or Rhône-Alpes can be high-profile positions. Proposals to give regions limited legislative autonomy have met with considerable resistance; others propose transferring certain powers from the departments to their respective regions, leaving the former with limited authority. Number of regions controlled by each coalition since 1986. Overseas region (French: Région d'outre-mer) is a recent designation, given to the overseas departments that have similar powers to those of the regions of metropolitan France. As integral parts of the French Republic, they are represented in the National Assembly, Senate and Economic and Social Council, elect a Member of the European Parliament (MEP) and use the euro as their currency. Although these territories have had these political powers since 1982, when France's decentralisation policy dictated that they be given elected regional councils along with other regional powers, the designation overseas regions dates only to the 2003 constitutional change; indeed, the new wording of the constitution aims to give no precedence to either appellation overseas department or overseas region, although the second is still virtually unused by French media. ^ a b "Carte des Régions" (in French). INSEE. Retrieved 29 September 2009. ^ "Nouveau nom de la région : dernier jour de vote, Occitanie en tête". midilibre.fr. ^ "Journal officiel of 17 January 2015". Légifrance (in French). 17 January 2015. Retrieved 10 March 2015. ^ "Auvergne-Rhône-Alpes : fini la consultation, Laurent Wauquiez a tranché - Place Gre'net". placegrenet.fr. 31 May 2016. ^ "La nouvelle nomenclature des codes régions" (in French). INSEE. Retrieved 17 January 2016. ^ a b New name as of 17 January 2015; formerly named Centre. ^ These flags are not official. This page was last edited on 21 April 2019, at 17:00 (UTC).